Rather than producing coffee tables in a set style, I look for interesting pieces of wood and other materials to make one off items. 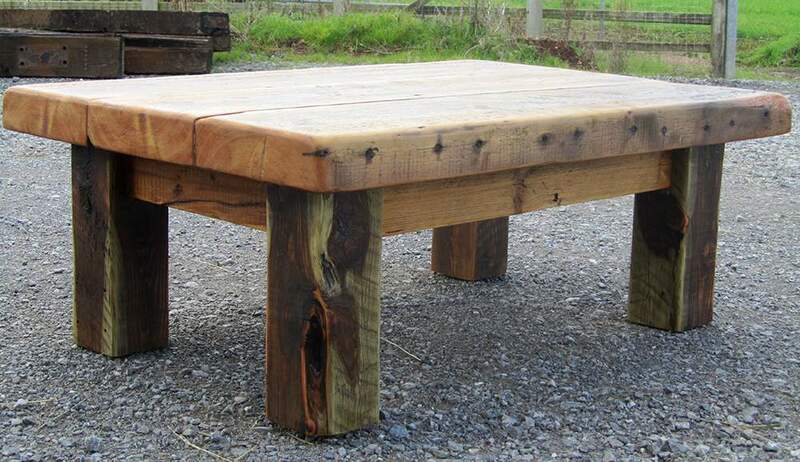 If you like the look of a table that is marked as sold please get in touch as I may be able to make something similar. Any pieces that have been sold will still be displayed to give you an idea of what is possible – you are welcome to request a particular style for you own bespoke design. Chunky and solid, these tables are made entirely from reclaimed materials and will last a lifetime. Being handmade and given the nature of their construction, each table is totally unique. They have been sanded to a very smooth finish whilst leaving the interesting features in the wood, reminders of its previous use and signs of age. Unless specified they have had several coats of Danish oil to protect and enhance the natural grain and signs of distress. There is a gallery of photos for each table. 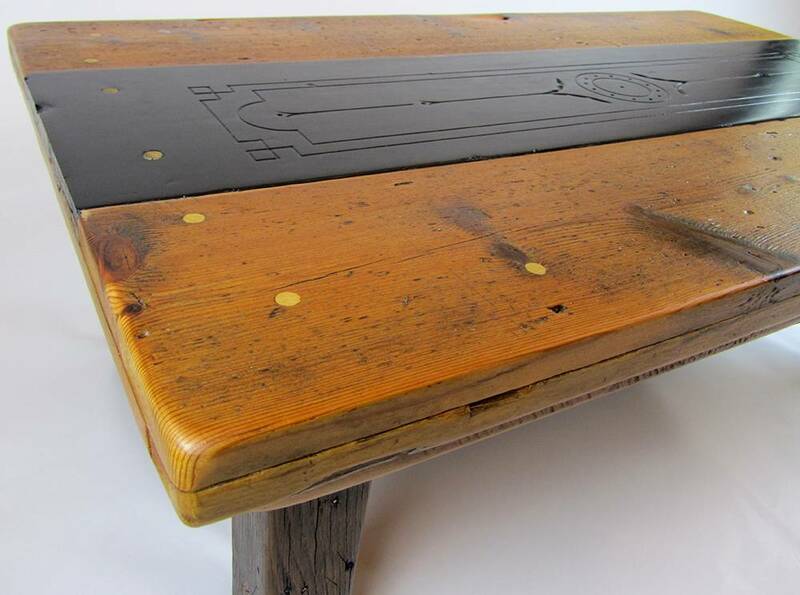 Coffee table made out of floorboards reclaimed from a Somerset manor house and a piece of ornately engraved slate that was part of a fireplace surround from a Welsh cottage. The legs are oak posts from a Welsh farm and the frame is hardwood joist and some pieces of decking from the old Weston-Super-Mare pier, salvaged after the 2008 fire. Given the unique nature of the materials in this table, this is a ‘one of a kind’ table. 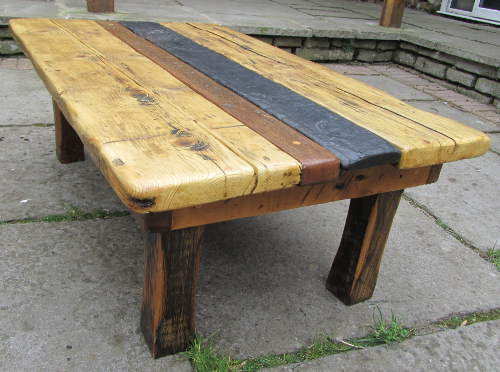 Chunky coffee table made from joists reclaimed from an old warehouse on Bristol’s harbourside. The frame is made from 4×2 beams that have been mortised into legs cut from an old signpost. This is a very heavy table! Stripy coffee table with legs made from oak posts. The frame is teak reclaimed from a bridge in Wiltshire and some old joists. The top is scaffold boards, teak (from the above bridge) and slate from a Welsh quarry.